Business Development: represent Mobisol in the sector and lobby its interests, identify market trends and have a keen eye on the competitive landscape. 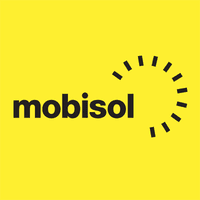 Lead the development of Mobisol Tanzania to achieve an exceptionally high-performing organisation. Business Performance: ensure that there is a results driven focus throughout Mobisol Tanzania and set an example from the top through a dynamic and relentless focus on achieving targets. P&L, cash and quality responsibility: ensure that financial targets are achieved and that resources are used efficiently and that the budget is managed in line with company goals. The position offers you the chance to build and shape the Tanzanian future of a global player in the off-grid energy market with strong commitment to product-quality, design, user friendliness and environmental sustainability. You will be part of an outstanding international, highly motivated team of individuals who combine professional expertise with personal passion. In addition to joining a wonderful global community, you will receive a competitive performance based salary and an attractive benefit package. Professional business English, with Kiswahili language stills as an additional asset. Strong understanding of different potential distribution channels in East Africa including last-mile distribution (direct-to-customer). Able to work under pressure and strong drive to achieve challenging targets.